Many of us have seen fighting movies. The Rocky series. Cinderella Man. Million Dollar Baby. Southpaw. Karate Kid. Whether it’s boxing or karate, the thrill of the physical fights keeps audience members on their toes. But the real fight is not in the ring. The real fight is behind the scenes. Rocky was fighting his self-image. Jimmy Braddock (Cinderella Man) was fighting tough economic times. Maggie Fitzgerald (Million Dollar Baby) was fighting gender stereotypes and a toxic family. Billy Hope (Southpaw) was fighting his troubled past. Daniel LaRusso (Karate Kid) was fighting loneliness (and bullies). They weren’t simply engaging in a physical battle. They all fought something much deeper and more significant outside the ring. Their public battles with physical opponents paralleled their internal battles with family, circumstance, and self. They weren’t driven to fight for the battle itself. Their motivation was much deeper. What fueled their training? What fueled their physical fights? Without knowing their WHY, none of these fighters would have overcome their own demons. They would not have succeeded in their own lives, let alone in the ring. The only reason they were successful in the ring is because they overcame their own limitations. 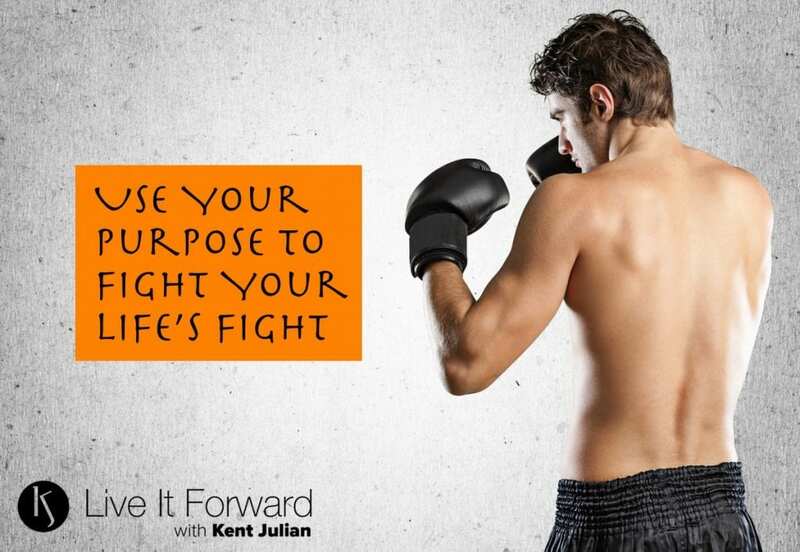 By identifying their purpose, visualizing their purpose’s fulfillment, and integrating their purpose into all their actions, they discovered their reason for fighting. Rocky fought to improve his self-image and to model resilience for his community. Jimmy fought to give his family a better life. Maggie fought to prove her value to herself. Billy fought to provide his daughter with more resources than he had as a child. Daniel fought to develop a sense of belonging and end his relational tensions. Their reason was simple. They actively chose to fight for their own lives. For their relationships. For their purpose behind the scenes. While all five fighters had different experiences and carried different purposes, they all shared one vital attribute. They intentionally engaged their purpose to first overcome their life challenges and to then overcome their opponents in the ring. Purpose is the fuel that drives our thoughts, actions, and responses. Purpose provides the WHY behind our actions. Whether we’re fighting in the ring or fighting our own personal struggles, we must first understand why we’re fighting before we can overcome and thrive. All five fighters fought for their lives. For their families’ lives. For their communities. They were fighters by profession. But they were also fighters by purpose. They fought for everything they had. And they gave all they had for their fights. What are you doing to fulfill it? And what fight are you training for? Believe in your purpose so much that you make it tangible. You feel it in your bones. You can see it being fulfilled. Embrace it in every part of your body and in every action you take. Soon enough, your fights will become your biggest victories. Not just in the movies, but in your life – which is more important than any scorecard will ever show.